I just got home from seeing the new Cinderella movie. 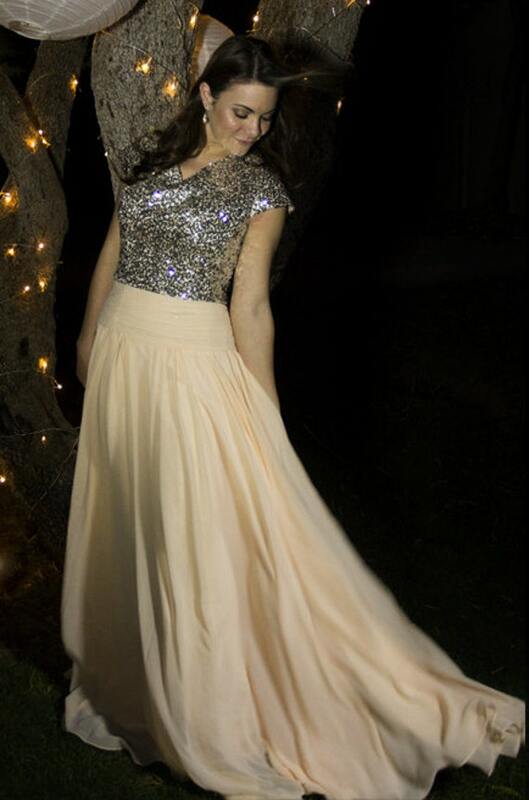 You could say I'm enchanted. Enchanted by the adorable mice. 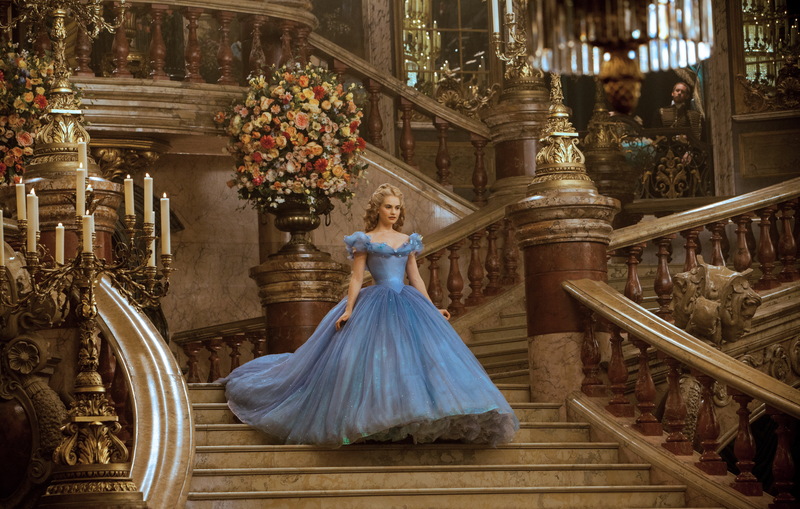 Enchanted by Cinderella's undying courage and kindness. And I must admit I'm quite enchanted with all the beautiful dresses (except for the corset part. I rather enjoy being able to convert oxygen to carbon dioxide without experiencing horrific pain). There's still one problemo though. Have you noticed that modest dresses can be over $500? Ain't no body got time money for that. 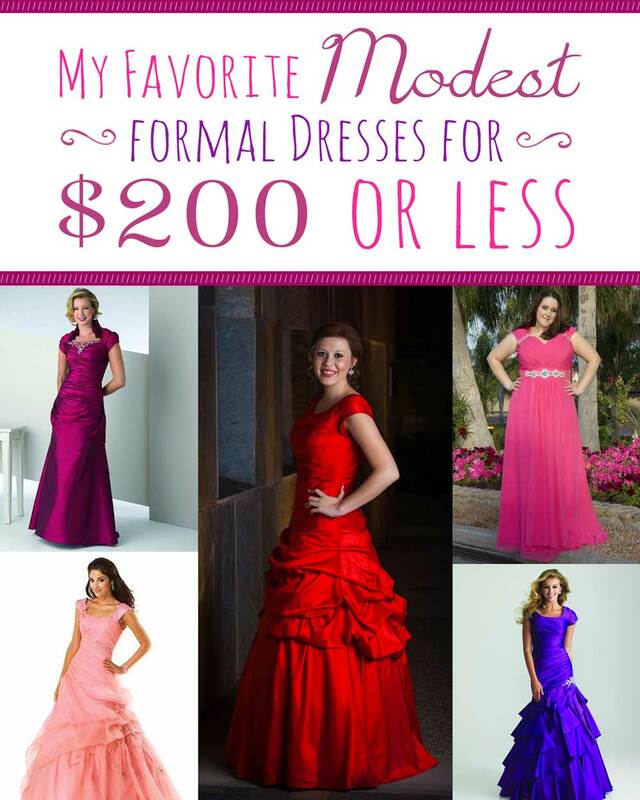 Originally over $300, these gorgeous gowns are now on sale for just $199! The color of the purple Janalee is also breathtaking! I love the subtle high-low cut (it lets you show off your shoes!) and the ruffles add just enough glam to bring back those Disney-princess ballgown memories without interfering with the dress' mermaid silhouette. These dresses from Great Lengths Clothing are definitely stunners, and their prices cannot be beat. I love the flowiness of the pale blue one! It reminds me of Princess Buttercup from The Princess Bride. 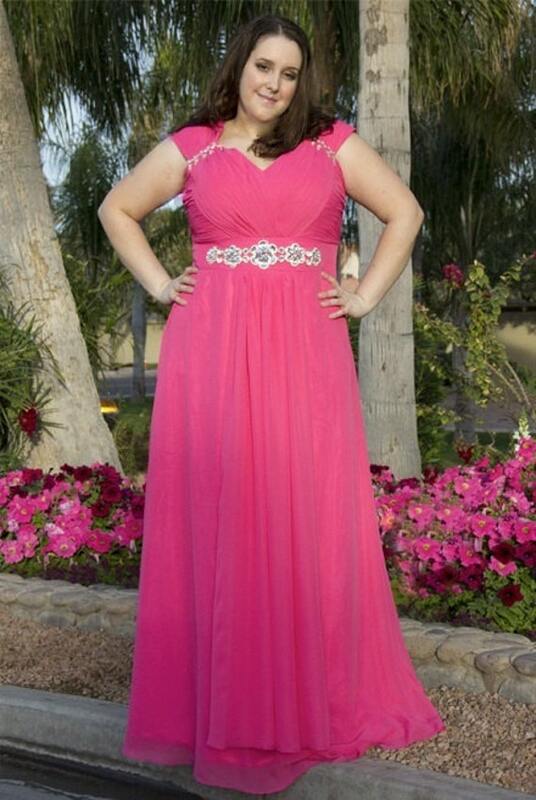 Aren't the bold colors of the Zoey gowns fabulous, too? That coral shade is so elegant (and pleated skirts are all the rage this year). First off, with its gathered neck line and belted waistline, the flaming red BR1146 embodies sophistication without being too plain. The ruched waist and delicate beading on P807 also has me swooning. I think it calls for a close-up. I'm loving all the gathers in the skirt, too! This dress also comes in two other colors that aren't pictured -- coral and olive green. 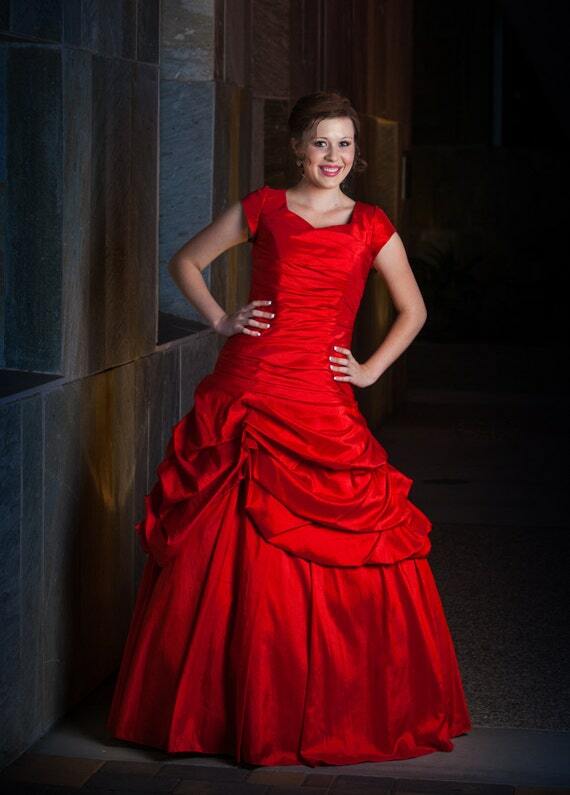 Dillard's absolutely killed it in the prom department this year, and their prices are fantastic! Aren't those black and white's classy and chic? And I can't get over the elegance of the pastels, lace, and bows! ModCloth is my go-to source for vintage looking styles. Who says formals have to be long? 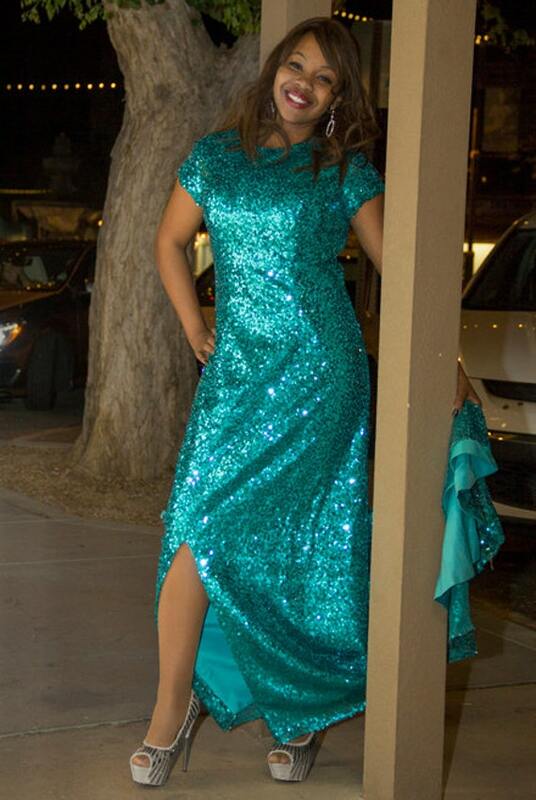 I think that shorter dress would be perfect for almost any dance. Planning on attending a 1920's themed event? That sleek black dress is very Downton Abbey/Great Gatsby-esque, don't you think? While we're on the topic of vintage-inspired fashion, let's talk about Shabby Apple for a second. In addition to their amazing selection of more casual Sunday dresses, they also carry dressy formals like the two cute choices above. How great are those 3/4 length sleeves on the Nutcracker Dress? And the lace scallops on the hem of the Alice are perfection. I can't get over the amazing deals Raffinata has available! Right now these three beauties are $75-$150 off! They have lots more on their website, too . . . I just couldn't fit them all here. Isn't that bold purple strinking? I love the jeweled accent! The soft pink ruffles of the Mystique are so delicate and I absolutely love the collar on the Bonny! Where's your favorite place to find modest formals? Full re-caps of all four talks are available on the Deseret New's website as well. Have a wonderful rest of the weekend, everyone! First hour . . . Math. Ewww. Second hour . . . English. Not too bad. Fourth hour . . . College Prep Chemistry. Shut the front door! I know nothing of Chemistry and lack the prerequisite courses for this class! <Looks for cave to hide in, trembles in fear, and frantically runs to counselor's office to beg for a schedule change>. As it turns out, my schedule could not be changed and I remained in the course for the entire school year. Guess what? I'm not even mad. Was the class easy? Goodness, no. But was it worth it? Absolutely. In fact, I've found my new love! I'm looking forward to going all the way to Chem 5 in my upcoming Neuroscience studies. Even though I was absolutely terrified of CP Chem, I am extremely grateful for the opportunity it provided for me to challenge my mind and learn things I never imagined I could comprehend. While there were happy times (blowing things up and freezing s'mores with liquid nitrogen after the final, for example) there were also many nights that I spent staring at the ceiling and resisting the urge to punch my text book while crying over homework and praying that somehow osmosis would transfer much needed knowledge to my tired mind. Isn't that amazing? With God's help you can do anything . . . but I'm getting ahead of myself. On with the study tips! You are a Child of God. He is the master mathematician, He speaks every language, He knows the entire course of world history, He's the ultimate scientist, and the list of his strengths could go on and on. As His child, you have inherited divine qualities from Him, including the ability to learn. 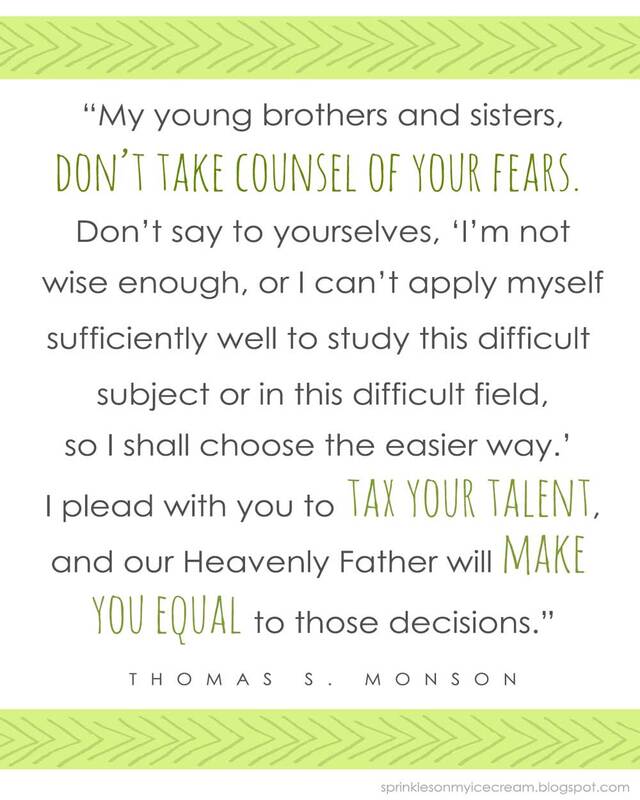 Whatever the subject may be, remember what President Monson said and "don't take counsel from your fears". Have faith in your abilities and God's power and willingness to magnify them. Let's face it: no matter how cool we think we are, no person is an expert on everything. You don't have to be either. (Even Einstein struggled with non-science subjects like language and history). As cool as teachers are, they can't read your mind. Speak with them at lunch, during their prep/office hour, or after school and let them know you're struggling. (You can also shoot them an email if you're shy like me.) Ask questions, request additional material, or have them go through a homework problem with you -- just talk to them. In addition to teachers and friends, there's also another place you can turn for help and comfort: Heaven. Cry unto him when ye are in your fields, yea, over all your flocks. Cry unto him in your houses, yea, over all your household, both morning, mid-day, and evening. Yea, cry unto him against the power of your enemies. Yea, cry unto him against the devil, who is an enemy to all righteousness. Cry unto him over the crops of your fields, that ye may prosper in them. Cry over the flocks of your fields, that they may increase. But this is not all; ye must pour out your souls in your closets, and your secret places, and in your wilderness. Notice that scripture didn't just mention praying for resistance to temptation and strength to be righteous. 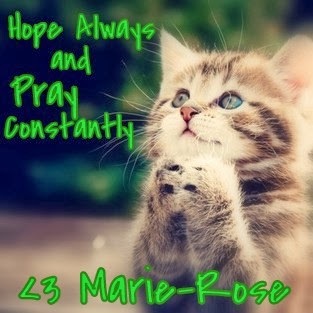 It also talked about praying for prosperity in temporal endeavors. 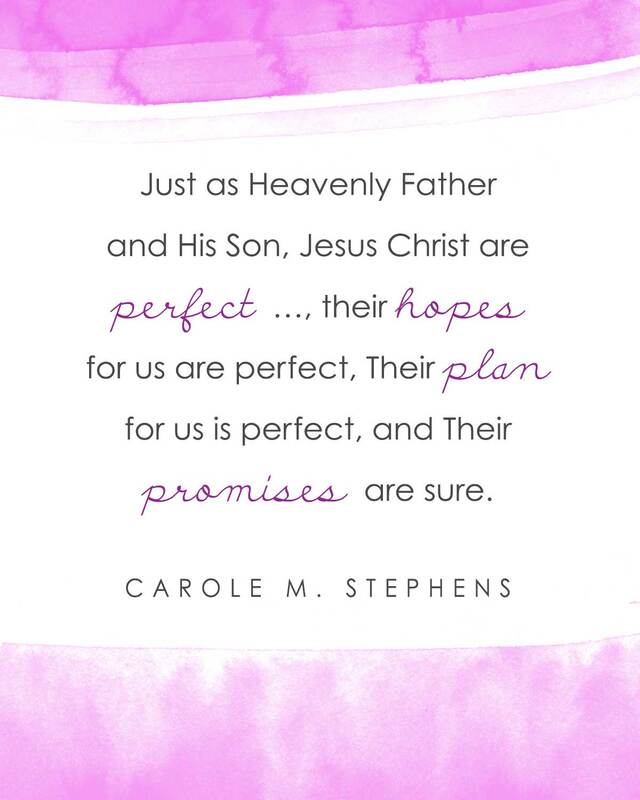 Yes, I know most teens don't have flocks and herds today, but just as Heavenly Father cared for the success of the Nephites' pursuits, he cares for your success in school. ". . . pray always, and not faint; that ye must not perform any thing unto the Lord save in the first place ye shall pray unto the Father in the name of Christ, that he will consecrate thy performance unto thee, that thy performance may be for the welfare of thy soul." I have found that when I pray before I study for a class, I am able to understand concepts more quickly and fully. By inviting the Holy Ghost to help me, I am able to remember things I would have otherwise forgotten and even stay more focussed. Remember that through the Savior's Grace, all of our weaknesses (even the comprehnsion Algebra and quantum physics) can be made strong (see Ether 12:27); but in order for that to work, we have to do our part, bringing us to #3. 1. Cramming is no fun. I can think of 3928 other ways I'd rather spend an evening that don't involve tears or thoughts of burning homework assignments. 2. Long term memories take time to solidify. Yes, you might be able to recall the information you desperately jammed into your head for a day or two, but you'll most likely forget it by the end of the week. Trust me when I say that you might think you'll never need that formula again, but courses build on each other and chances are next year you'll be wishing you had studied harder. Do your future self a favor and learn not just regurgitate. Review your notes as often as possible. (I like to look over mine during those awkward five minute breaks between classes and after I finish my work). Re-read the text book, find YouTube videos related to the subject (just don't get side tracked by those cute kitties), or try making flashcards with paper or a cell phone app. Whatever method works for you, just remember that the key is to start studying long before the test date draws near. I don't know about you, but I'm pretty sure this would help me out. Sometimes, despite our greatest efforts, things don't go according to plan. I was heartbroken when I got a 51% on one of my first Chem exams with no re-dos allowed. My teacher encouraged me to keep trying, and by the end of the year I not only passed the class, but did so with the highest final test grade in my class period! Mind you, I'm not saying this will happen every time. There have been plenty of instances where I've accepted a C or a D proudly because I knew I had done my best. And that's okay. Just keep trying. It might take another study session or even another semester in the class, but don't stop just because there are a few bumps in the road. You CAN pass that class. P.S. 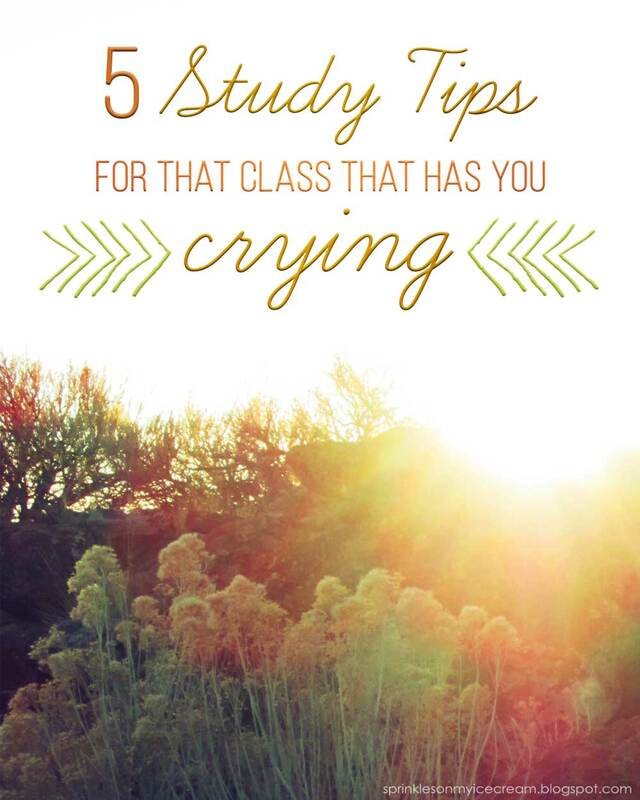 For tip #2, I borrowed some scriptures from a previous post I wrote about Finals Week. If you want to read more from me on this subject, check it out, here. For more study helps, you can also read this article from the College of DuPage and this one from Standford University. 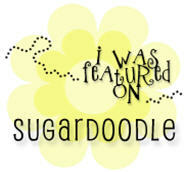 As I mentioned at the end of this post, I had marvelous bloggy plans for these last two weeks. Yes, ma'am, I sure did. Then, life happened. Read: My English teacher decided it would be fun to assign a lot of essays in a very short amount of time. I am now very pleased to report that the whirlwind is over, and I am back. Hallelujah for spring break and the ending of midterms! (And also for ice cream grocery store runs, while we're on the subject of awesome happenings). One thing I love about music is that no matter how crazy life gets, it can still be incorporated into even the busiest of schedules (even if all I can manage is a mini jam session during the car ride to school or a five minute longer-than-it-should-have-been YouTube break). With that in mind, here are 5 songs that I'm loving right now. Mind you, some of them aren't exactly hot off the press . . . err recording studio, but sometimes the oldies are the besties, right? Since I wrote this post, it should be no secret that I'm a great admirer of Tiffany's work, and this new release is no exception. I love the acoustic vibe! (And the clean edits are great!) Also, can we just talk for a second about the cabin-esque room the music video is filmed in? It makes me want to camping so badly! Summer, please come (but not too quickly because I'm not ready for finals yet :P). I love the message of strength this song presents. No matter how hard life gets, we can always find hope and healing. And Danielle's voice is totally amazing. Also, butterflies. I have loved this song for a long time, but I recently found this live version and I am blown away! Mindy's recorded music is amazing, but I never realized how fabulous it was unedited, too! I think it's so fun to hear the authentic sound of artists without all the electronic photoshop-for-sound stuff (obviously I'm super knowledgable about the technical names for sound editing). Plus, this song makes me want to pack my bags and travel the world. A girl can dream, right? I don't follow The Voice super closely, but I'm all for cheering on another LDS girl. I really admire Madilyn's commitment to her standards and the message of this song is so beautiful. I love this mash-up! Style has been stuck in my head all week, and I have to say it fits in great with All you Had To Do Was Stay and Out of the Woods. And the harmonies? Brilliant. What songs have you been loving lately? I am a magazine junkie. Most 8-year olds have their bed covered in stuffed animals and baby dolls, right? Not this child. I read magazines from cover to cover and displayed them proudly throughout my messy room (you could say organization wasn't one of my strong suits). I remember flipping through the glossy pages of Country Woman, National Geographic, and Family Fun from the time I could barely read. Something about the catchy titles, diverse fonts, and variety of graphics absolutely thrilled me. As I got older, I started enjoying some fashion oriented magazines as well. At least, I wanted to. It turns out that Emily Punjack, a Mother, returned missionary, and BYU grad, shares many of the same frustrations I have with today's teenage media. So guess what she did? 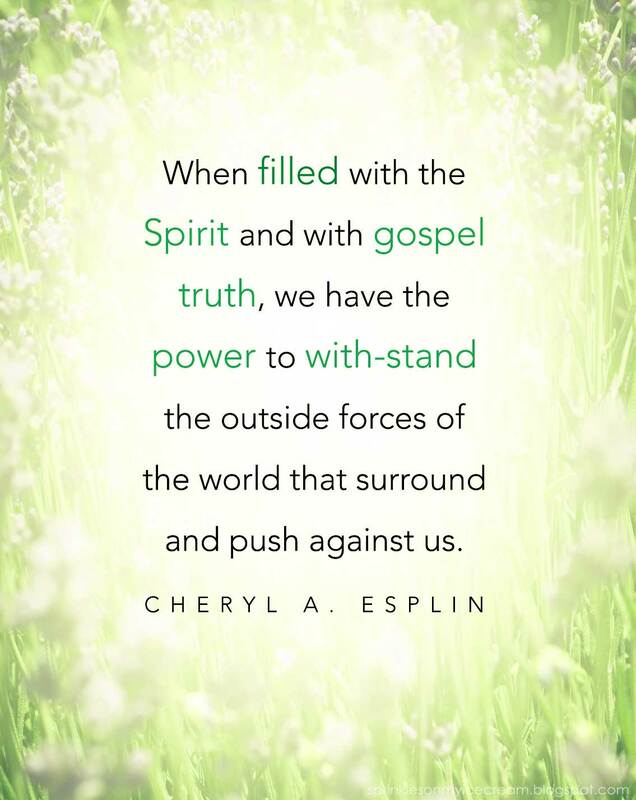 She created a magazine just for LDS Young Women called Celestial Shine. According to its website, the mission of the magazine is to ". 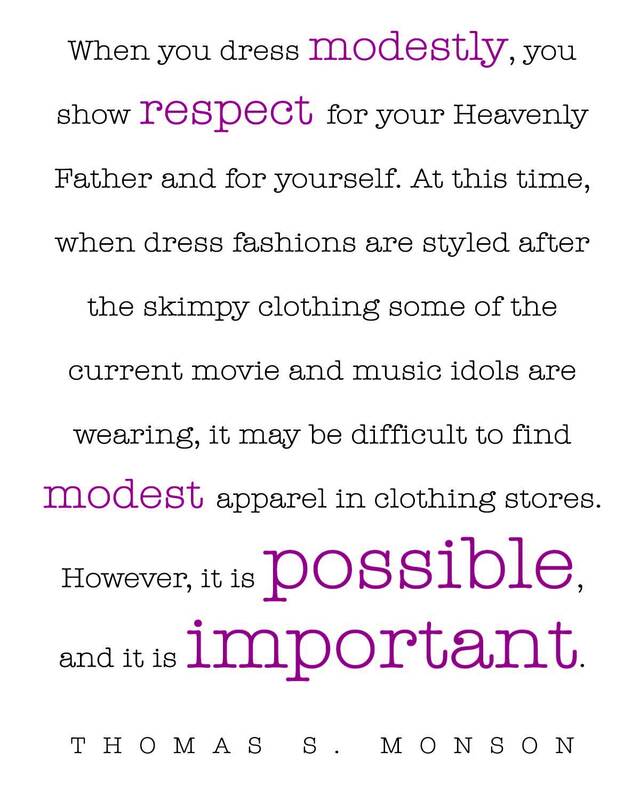 . . encourage Young Women to be in the world but not of the world, to strengthen their testimonies in the Savior Jesus Christ and the Church of Jesus Christ of Latter-day Saints, to provide fashion, beauty, makeup, and dating advice that is modest and aligns with the standards of the Church, and to remind all Young Women that they are daughters of God." I'm happy to report that Celestial Shine lives true to that motto. Emily was kind enough to let me preview the magazine so I could share it with all of you, and I am absolutely blown away (in a good way, not as in a Carrie-Underwood's-song-about-tornados kind of way. Then I would be squished under a house and couldn't read the magazine anymore. That would be sad). 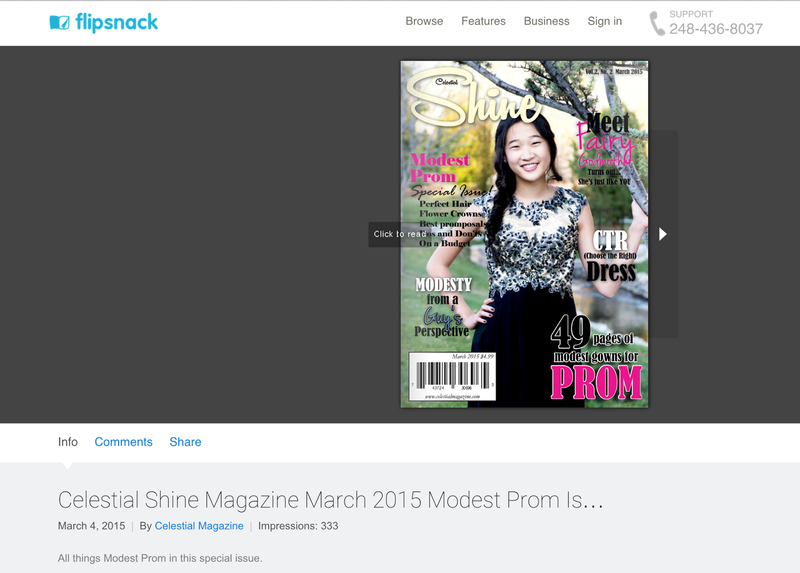 This month's issue was all about Prom! 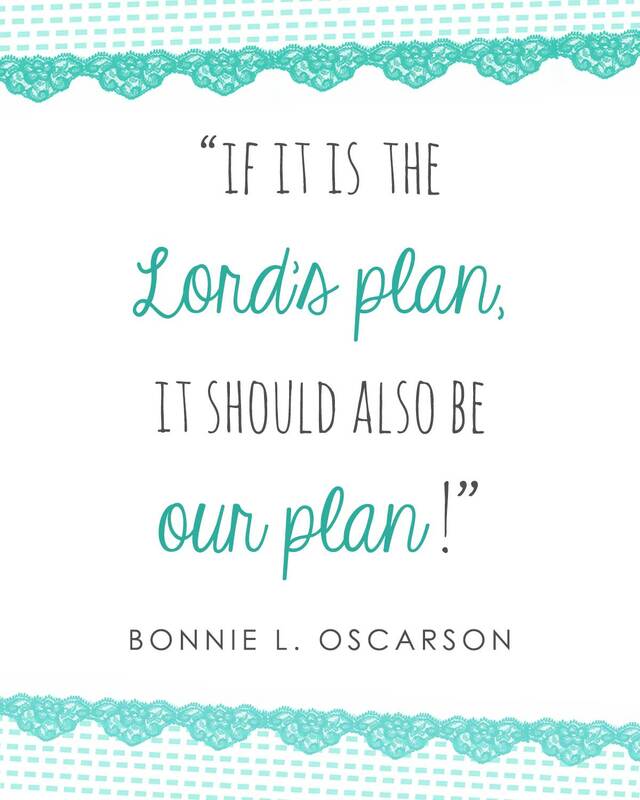 It had tons of beautiful hair tutorials, a great collection of tips for finding a modest dress without breaking the bank, several amazing articles about living virtuously, and even an entire page of hilarious Mormon-inspired pick-up lines! While the magazine is a very generous length (this month's was 87 pages), I loved it so much that I didn't want it to end! "I love working with the Young Women and seeing their faces shine in the photo shoots, reading the amazing articles that they write, and seeing all of the talent that they possess such as drawing, painting, dancing, etc. We are all daughters of our Heavenly Father, and we are each so unique and beautiful. 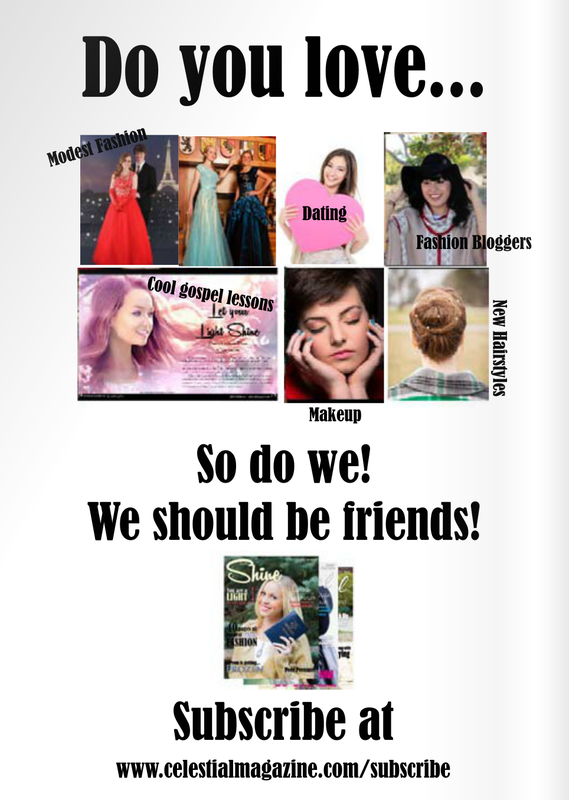 I want all of the girls to KNOW that without a doubt when they read this magazine!" That message comes through loud and clear through every word of Celestial Shine. Did you every watch Reading Rainbow as a kid? Remember when the host, LaVar Burton used to say, ". . . but you don't have to take my word for it . . ."? I'm saying that to you right now! Because we love you so much, we're giving you an early Easter present...50% off a 1 year or a 6 month subscription to‪#‎CelestialShineMagazine‬ for the first 200 new subscribers... because we want everyone who wants a subscription to be able to get one! You don't even need a promo code! Just visit cshinemagazine.com/subscribe to order! That means you can get a 6 month subscription for only $10 or a 1 year subscription (10 issues) for only $18... that's like $1.80 per issue! So make like the Easter Bunny and hop on over to their website to add some wholesome entertainment and inspiration into your life! Note: This post was sponsored by Celestial Shine, but all opinions (and lame puns) are my own.